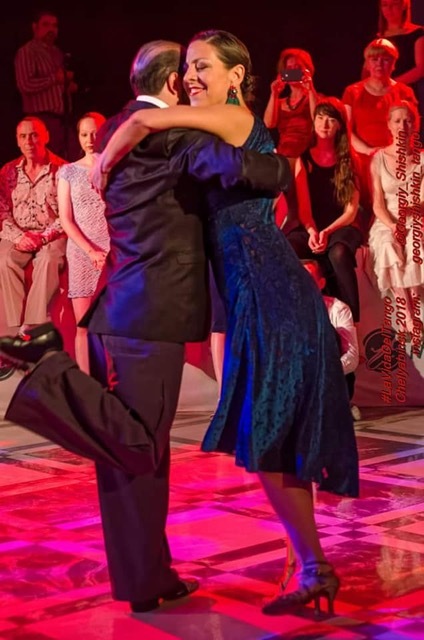 We dance Tango, Waltz and Milonga in the charged space between melody and rhythm. The idea is to recognize the difference between strong and weak accents/beats/phrases in Tango, Waltz and Milonga; and the duration, range and depth. We learn how to adjust the rhythm to the accents, and how long the sequence lasts, depending on the melody. Seminar:1 "Figuras complejas en abrazo cerrado "
Complex sequences in a closed embrace. Turns and interwoven figures. We can dance well-known figures in a closed embrace by creating an inside and outside space. We find the dynamics in various turns, in shared axes, around the axis and in the space. Payment from abroad please specify SEPA transfer.